Carmen discusses the good news about moving past a divorce. 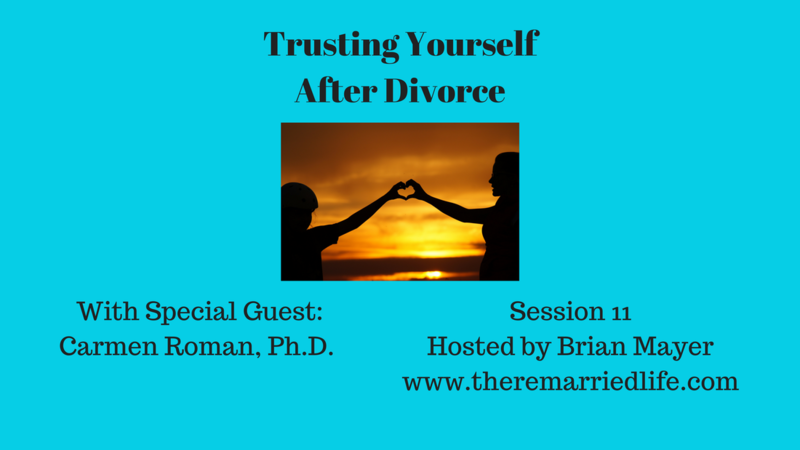 She says the experience we gain from the divorce can help to not make the same mistakes again. With time to reflect on what did and did not work previously can help with future relationships. Some common mistakes to avoid include hoping that your partner will complete you or make you whole. She also talks about the mistake of hoping to change whatever we do not like in the other person, but she describes that it is difficult if not impossible to change someone else. Carmen says the key to recovery is to honor the grief process, meaning we must walk through it in order to heal. Things like actually writing a list of needs in the next partner is critical. She also suggests one year to move through grief and work past each milestone such as birthdays, anniversaries, and holidays. Once remarried, avoid comparisons to previous spouse. Be clear about things like children, finances, and other family and how each of you see that working.